Cable Girls – Season 2 (2017) – What's New on Netflix Canada Today! Six months later, new management shakes things up, the friends commit a dark deed, Lidia faces romantic backlash, and Sara suffers an identity crisis. 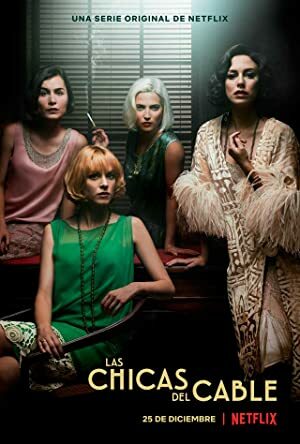 Trying to escape the past, thief Alba weasels herself a job working as a telephone operator in 1928 Madrid under a false identity. Escaping the past, however, proves to be extremely difficult as she realizes that your past is what creates your future involving friends, lovers, and feelings.